A cozy cafe, you will always thought of Starbucks or Coffee Beans. Now you have another choice of cafe to hangout, introducing the Coffee World Restaurant. 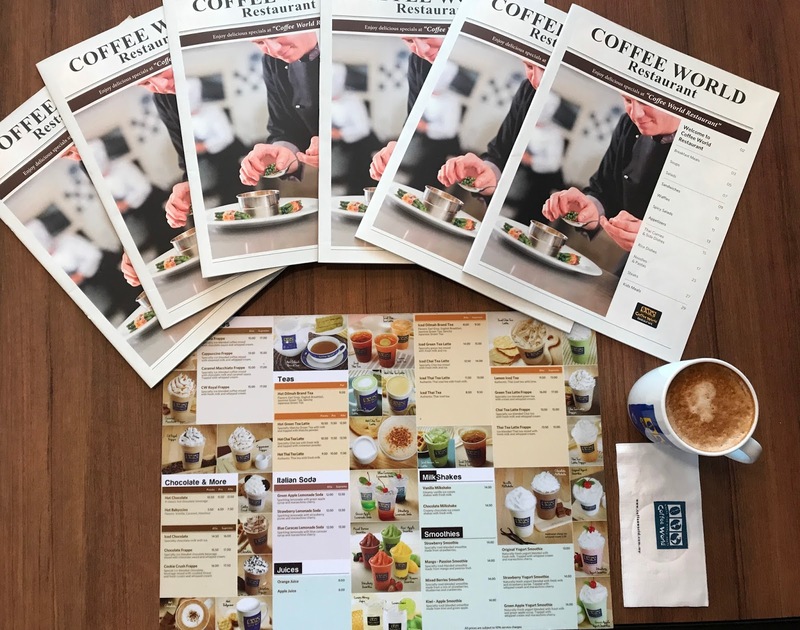 Coffee World are origin from Thailand, beside only serving coffee, Coffee World also offered a comprehensive menu of delectable dishes that includes pastas, sandwiches, soups, salads, breakfast spreads, fusion dishes, and Thai's cuisines. Coffee World is growing and opening more branches in Malaysia. Launched in 1997, Coffee World has been known as the friendly neighbourhood coffee house serving a variety of hot and iced coffees, accompanied with hot and fresh complementary food such as waffles, sandwiches, muffins, cookies, and our signature cakes. Their fast expansion and continuous growth are supported by their steadfast dedication to the customer to enjoy their coffee experience. More good news, for more variety of discount you may download KIPLE apps to enjoy the rebate. Save.Earn.Pay it Cool. 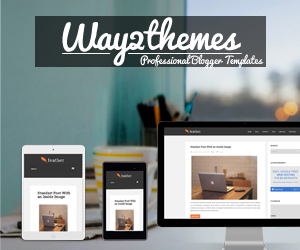 Please download it here. Coffee World always seeking to delight their customers with a selection of innovation products. 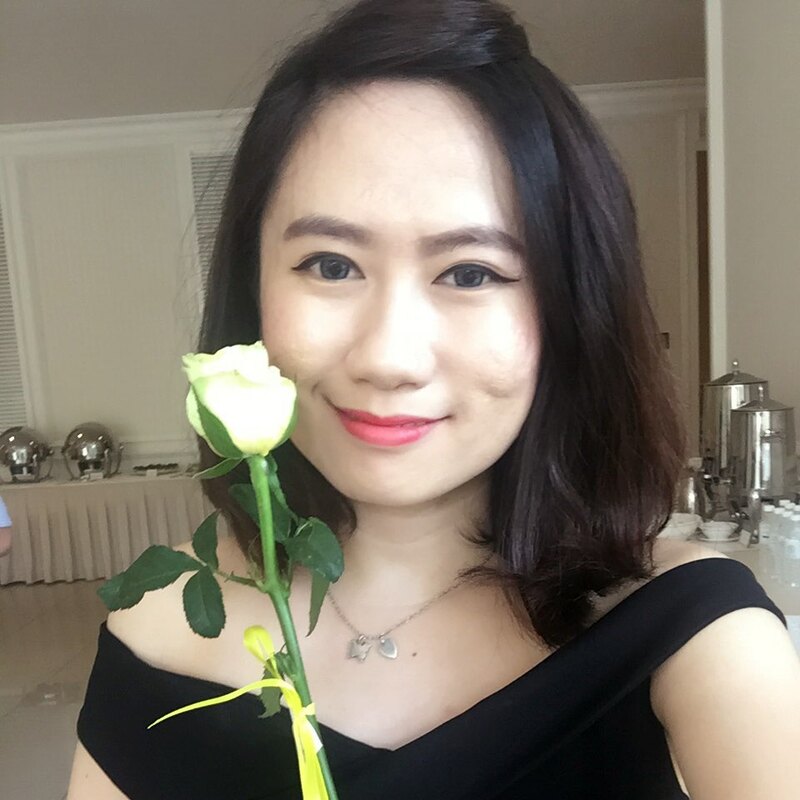 Okay, allow me to introduce their Thai's foods, beverages and desserts. 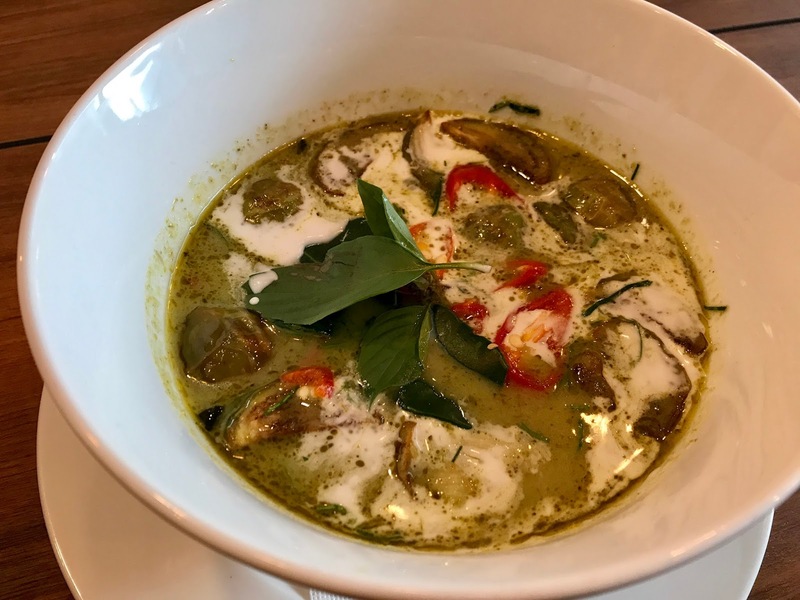 Creamy based chicken green curry. Soaked your taste buds with this tantalising curry which is creamy and yet aromatic. Complete with chunks of chicken meat in it. 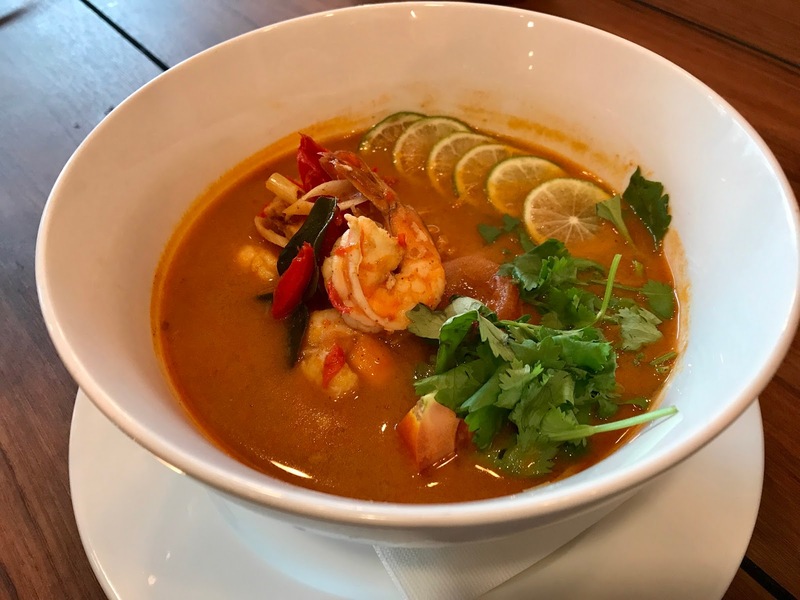 Authentic Tom Yum Soup, spicy and tempting. Rich and delicious mixed with seafood. Looking for some appetising sensation. 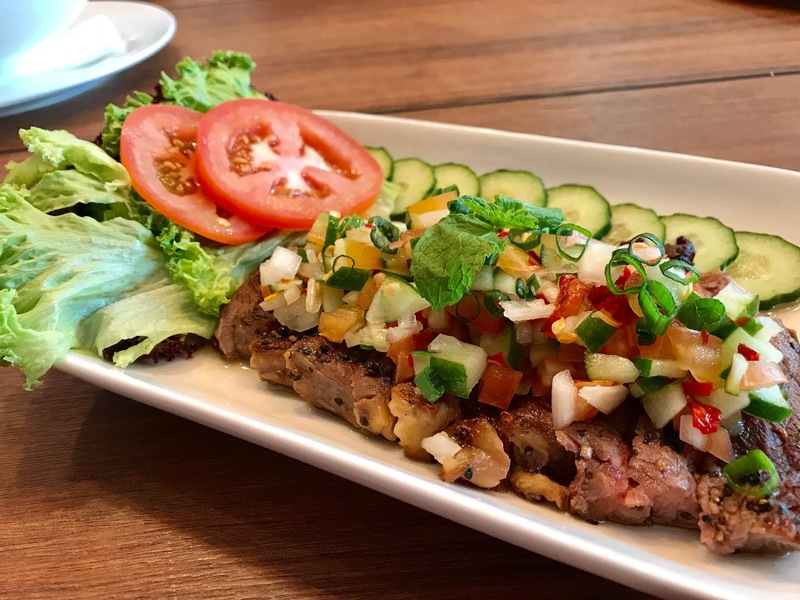 Try this Thai grilled basil salad with moist and juicy beef. This salad beside being simply appetising and also burst with flavours. 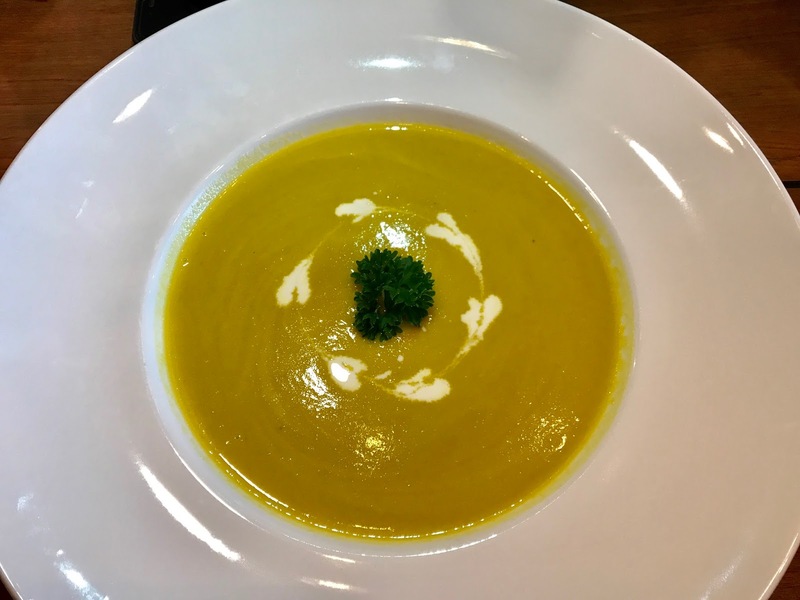 Help your self with this nicely prepared pumpkin soup which filled with aromatic blend of pumpkin in it. Nice one! The Thai's "FRIED KUEY TEOW". Awesomely great and delicious. Well cook and the shrimps are fresh. Special ice-blended green tea with whipped cream. Specially iced-blended smoothie made from mango and passion fruit. Espresso mixed with caramel syrup, frothed milk and caramel sauce. You can also either choose to have a dessert or a tea time snacks after your meal. There are many variety of cakes to choose. 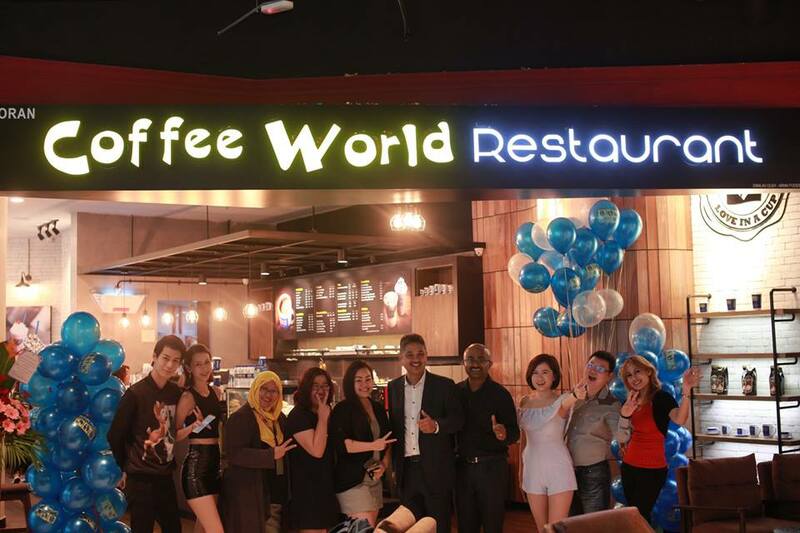 Coffee World Restaurant celebrated their outlet grand opening at KL Gateway Mall. Thanks for the invitation and I am glad to be there and taste such a nice and delicious Thai foods.